The Kennedy Lecture is an annual event that is the gift of Thomas and Richard Kennedy, in memory of their parents, Keith and Joan Kennedy. This series aims to challenge us and to stimulate thinking by engaging prominent persons in the field of religion and ethics. 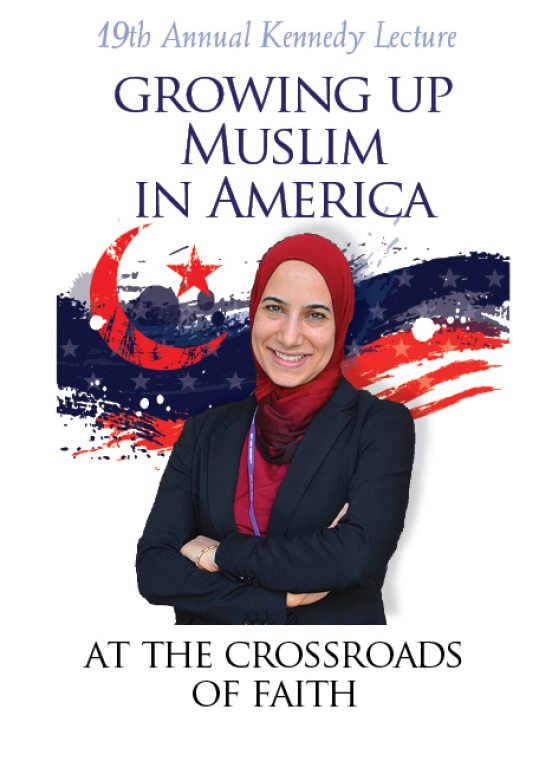 Hadia Mubarak is an assistant professor of Religious Studies at Guilford College. She previously served as a research fellow with the New York Abu Dhabi Research Institute in the Humanities (2017-2018), where she worked on her monograph on women in modern Qurʾanic commentaries. Mubarak taught as a lecturer in Religious Studies at the University of North Carolina at Charlotte (2015-2017) and a visiting lecturer at Davidson College (2015-2016). Mubarak completed her Ph.D. in Islamic Studies from Georgetown University, where she specialized in modern and classical Qurʾanic exegesis, Islamic feminism, and gender reform in the modern Muslim world. Her current publications include, among others, “Change Through Continuity: A Case Study of Q. 4:34 in Ibn ʿĀshūr’s Al-Taḥrīr wa-l-Tanwīr” (Journal of Qurʾanic Studies 20.1 February 2018); “Breaking the Interpretive Monopoly: A Re-Examination of Verse 4:34” (Hawwa 2.3); and two forthcoming book chapters, “Classical Exegeses of Key Qur'anic Verses Concerning Women” in the Oxford Handbook of Islam and Women (forthcoming) and “Gendered Islamophobia: Muslim Women in the Wake of a Trump Presidency” in The Body Politic: Bodily Experience in a Post-Trump World (Sense Publishing, 2019).